When it comes to growing churches together on mission, the Purpose Driven Church is committed to serving leaders with healthy, effective principles founded on Biblical truths. That’s why this month, Saddleback Hong Kong hosted the Purpose Driven Church (PDC) Conference from May 23-25. During the three-day event, 240 leaders gathered from 7 countries, 20 cities, and 50 churches across Asia. The goal was to formally launch the PD movement through Saddleback Church Hong Kong, and create an Asian-wide PD fellowship network. 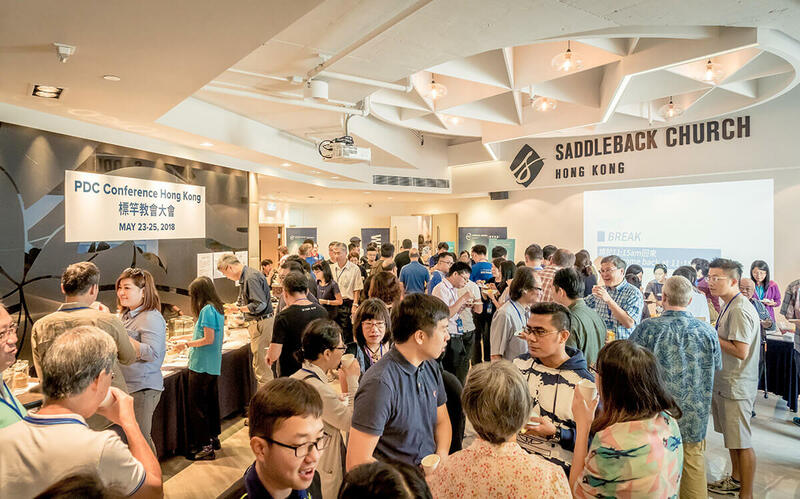 According to Hong Kong’s Campus Pastor, Stephen Lee, the event was a significant step in building healthy churches through one of Saddleback’s international campuses. Serving as a support base for PD development, their campus is able to reach the greater Asian community not only as a Worship Center, but also as a PD Training Center and PEACE Center. Among keynote speakers were Saddleback’s Rick Warren (by video), David Chrzan, Mike Constantz, and Stephen Lee. Also sharing insight were Rev. Dr. Sam Chan of Richmond Hill Christian Community Church in Toronto, and Pastor Asaph Lai Pastor of Fanling Assembly of God Church in Hong Kong. Sessions included topics on small groups, worship ministry, spiritual maturity, leadership development, and volunteer mobilization. Closing out the conference was an in-depth debriefing session and special worship service. Conducted in English, Cantonese and Mandarin, the conference catered to the language needs of all participants through live translation and English and Chinese training materials. With the majority of churches new to PD, many leaders walked away with fresh inspiration, new vision, ministry tools, and hope for a healthy, balanced church. To learn more about the recent Purpose Driven Conference in Hong Kong, visit www.pdchurch.hk.